 JMD Ross Professional Risks seeks to obtain a thorough understanding of a practice’s business, identify the associated risks and develop long-term relationships with clients. JMD Ross Professional Risks Pty Ltd, previously Griffiths & Armour Professional Risks Pty Ltd, has operated in Australia since 2005. It provides professional indemnity insurance for architects. JMD Ross Professional Risks specialises in arranging professional indemnity. Click here to download the JMD Ross professional indemnity proposal form for architects.